It’s no big secret that an alkaline lifestyle can do wonders—from helping you lose weight and making sure you stay healthy. The alkaline diet is so effective that even celebrities have committed to it. 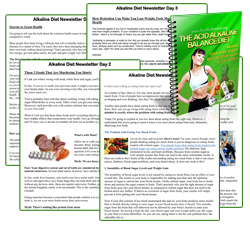 If you had any doubt about the effectiveness of the alkaline diet, then maybe you’d be convinced by the inspiring stories and unsolicited endorsements of these famous celebrities. The latest celebrity advocate of the alkaline diet is none other Gwyneth Paltrow. She was featured in the Evening Standard just last April, and she talked about the weight loss benefits of the alkaline diet. In an interview in the May cover of Self magazine, Gwyneth says that she never thought she’d be “considered to have a good body.” Before sticking to her alkaline diet, she was bony on the top and a bit heavy on the bottom. This, however, changed when she underwent rigorous training sessions and a diet overhaul. Her diet now consists of coconut water, raw almonds, and juices among other alkalizing foods. She stays away from pasta, bread, and potatoes—generally white flour foods that are high in carbs and acidc. Pasta and bread are highly acidic, while potatoes are mildly acidic. We all know Kirsten Dunst as the girl next door who fell in love with Spiderman in the movie trilogy. When she recently made the headlines with her Best Actress Award at the Cannes festival, people couldn’t help but notice how much more glowing she looked like. Her secret? 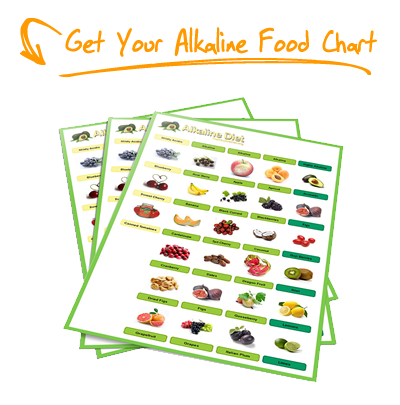 A strict alkaline diet of 70% alkalizing foods and 30% acidic foods. She avoids processed foods, grains, cereals, and fish—and keeps a healthy amount of fruit, vegetables, soya, and green tea in her diet. Her diet is complemented by an hour and a half of exercise four days a week. Her exercise regimen includes jogging, swimming, weight lifting, and stretching to wrap up the session. The result is inspiring. From a woman who’s had some of the most unflattering paparazzi photos in the recent years, Kirsten Dunst is looking a lot brighter and more sensual. Count Rachel Ray, a renowned cook and host of the Rachael Ray Show, among the celebrities who are committed to the alkaline diet. Recently, a lot of people have noticed that she has lost a lot of weight. Back then, she had been losing weight a couple of times, only to regain it back. This time though, it seems that she’s finally found the secret to staying fit. The reason behind Rachael Ray’s fantastic weight loss, she says, is the alkaline diet. Yes, even cooking gurus like Rachael can lose weight and enjoy food at the same time, with the right diet and exercise regimen. Rachael herself crafted some amazing recipes that are healthy and alkalizing at the same time. As a result, she has lost all her flabs and came out with an amazingly flat belly. The transformation is nothing short of astounding. The diet of Rachael Ray mostly consists of alkalizing recipes that she shows her viewers in her show. Looks like there’s another reason for you to wake up in the morning and learn how to cook! As for her exercise regimen, she has a personal trainer that helps with her cardio and muscle workout. She also does yoga and Pilates to keep in shape. When Billie Piper gave birth to a beautiful baby boy some years ago, nobody expected her to regain the beautiful body she had before her pregnancy. That’s why everybody was pleasantly surprised when Billie Piper became even more glowing and slimmer! No, Billlie Piper isn’t on a crash diet. Neither is she taking some dangerous pill. Billie’s fit body is all thanks to a highly alkaline diet mostly filled with vegetables and fruits. In her teens, Billie Piper struggled with anorexia in order to lose weight. Thankfully, she has found a much healthier way of staying fit—and it works! She’s never been more beautiful. Jennifer Aniston may well be in her 40s, but her body has only become better. In her recent film, Just Go With It, she comfortably struts and dances in just a bikini. 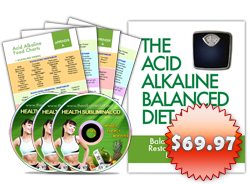 It’s not surprising that an alkaline diet is behind her stunning body and gorgeous skin. Hers is a low-carb, high protein alkaline diet. While she avoids processed foods and meat, she consumes plenty of vegetables and fruits throughout the day. Jennifer doesn’t starve herself, as the alkaline diet is not about that at all. Instead, she makes sure that she eats balanced meals that are highly alkalizing and cleansing. She also works our regularly. Isn’t it nice to know that behind the slim bodies and beautiful skin of these celebrities is the alkaline diet? These celebrities don’t have to starve themselves in order to land roles and be stars in their own right. With hard work and commitment to an alkaline lifestyle, you can be just as glowing!